Many forms of gambling have been regulated in Ireland for centuries. Irish law distinguishes primarily between three main forms of gambling: betting, gaming and lotteries. Betting is governed by the Betting Act 1931, as amended by the Betting (Amendment) Act 2015 (the Betting Acts). While bookmaking is not defined in that legislation it seems to me that the term bookmaker derives from a person or body ‘making a book’ on an event. In other words, the person or body concerned offers odds on all or a significant number of eventualities arising in respect of the same event (for example, offers odds on each horse winning or offers odds on either team winning a football game, or, indeed that game resulting in a draw). Thus, a person carrying on the business of bookmaking is someone who habitually offers to cover a range of possible eventualities on future uncertain events. Two private individuals entering into a wager on the same future uncertain event could not remotely be said to be engaged in the business of bookmaking. 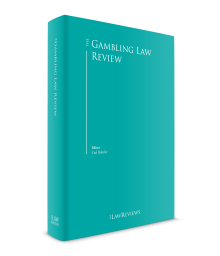 Accordingly, the general consensus arising from case law is that betting encompasses a bookmaker setting fixed odds against a future event, taking bets on that event and paying out winnings. Gaming is governed primarily by the Gaming and Lotteries Acts 1956-2013 (the Gaming and Lotteries Acts). The Irish National Lottery falls outside the scope of the Gaming and Lotteries Acts and, instead, is regulated by the National Lottery Act 2013 (the 2013 Act), which repealed and replaced the terms of the National Lottery Act 1986. In 2013, following a competitive tender process, the Irish government awarded a 20-year licence to operate the Irish National Lottery to a consortium involving An Post (the Irish post office) and led by the UK national lottery operator, Camelot. The most notable feature of the 2013 Act is the establishment of a new office, the Regulator of the National Lottery, whose primary functions are to ensure that the Irish National Lottery is run with all due propriety, to ensure that participants’ interests are protected and to ensure that the long-term sustainability of the Irish National Lottery is safeguarded. The Totalisator Act 1929 provides for the establishment and regulation of the Totalisator6 by the Irish Revenue Commissioners. The Irish Horse Racing Industry Act 1994 provided that the Irish Horse Racing Authority could apply for and hold a totalisator licence. This was later transferred to Horse Racing Ireland by the Horse and Greyhound Racing Act 2001, and the licence is currently held by a subsidiary of Horse Racing Ireland called Tote Ireland. Tote Ireland’s current licence is due to expire in 2021. Bord na gCon (the national greyhound board) is licensed to operate a totalisator at greyhound tracks. Spread betting on financial instruments is governed by the Markets in Financial Instruments Directive (2004/39/EC) and regulated by the Central Bank of Ireland. Irish Government Prize Bonds are regulated separately from other forms of gaming and lotteries. They are described in the Finance (Miscellaneous Provisions) Act 1956 as non-interest bearing securities that are ‘subject to such conditions as to repayment, redemption or otherwise as [the Minister] thinks fit and in relation to which chance may be used to select particular securities for prizes’. There is no equivalent in Ireland to the types of pool betting licences (non-remote and remote pool betting licences) that can be obtained from the UK Gambling Commission and that can be used by operators to provide pool betting or fantasy sports products. Instead, if an operator in Ireland wishes to provide a pool betting or fantasy sports product in which the amount of money won by the successful customers is calculated by dividing the total pool (minus commission) by the number of winners, it would be necessary to analyse the characteristics of the product to determine whether it could be characterised as a bet or a game under Irish law. Although gambling has a long history in Ireland, the Irish authorities have recognised that the legislation governing gambling in Ireland requires modernisation.7 As currently drafted, betting (remote, non-remote and intermediary) is permitted where a licence has been issued under the Betting Acts. Gaming and lotteries (except for the National Lottery) are primarily governed by the Gaming and Lotteries Acts. However, under the Gaming and Lotteries Acts, gaming is prohibited unless it falls under one of the exemptions contained in the Acts. Those exemptions broadly relate to gaming that takes place in circuses, carnivals and amusement halls, and gaming that is operated in a certain way. The Gaming and Lotteries Acts have not been updated to take account of internet gaming. 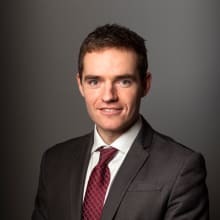 It is, however, common for operators that are lawfully licensed overseas to offer online gaming services to Irish customers provided that the gaming contracts are not governed by Irish law. There is a political desire to modernise Irish gambling law and the government has published the heads of the Gambling Control Bill 2013 (the Scheme), which, if enacted, will modernise Ireland’s legislative framework for all types of online and land-based gambling. See Section VIII, infra, for further information. The Irish National Lottery is designed to raise money for charities and good causes. For the most part, gambling in Ireland is the subject of private enterprise and the normal principles of free competition apply. Private citizens and companies, whether based in Ireland or abroad, are entitled to apply for a betting licence subject to fulfilling the various requirements to obtain a licence. The main exception to this policy is the Irish National Lottery, which is the subject of the 2013 Act, under which a single licensee is chosen to operate the Irish National Lottery following a competitive tender. Where regulated, gambling is generally regulated nationally. There are generally no special states, municipalities or localities in Ireland that have separate gambling legislation. Northern Ireland is part of the United Kingdom and its gambling laws are separate to those of the Republic of Ireland. Offshore gambling operators who offer betting services or betting intermediary services by remote means to Irish citizens are required to obtain either a remote bookmaker’s licence or remote betting intermediary’s licence from the Irish authorities under the Betting Acts. Remote in this context is described as meaning, in relation to a communication, any electronic means including the internet, telephone and telegraphy (whether wireless or not).8 It is clear from the list of operators who have obtained the necessary licences9 that there is a significant number of offshore gambling operators offering betting products to Irish citizens. Online gaming products (e.g., casino, slots, bingo) are governed by the Gaming and Lotteries Acts, although the legislation has not been updated to take account of online internet gaming. The focus of the Gaming and Lotteries Acts is on gaming carried out in amusement halls, arcades, funfairs, carnivals, travelling circuses and slot machines and therefore quite how it is to be applied to the type of games offered online is unclear. However, it is common for operators who are licensed in other jurisdictions to offer online products to Irish customers. It is important in such circumstances that the contract between the operator and the Irish customer is not governed by Irish law. Operators should also be aware that the Gaming and Lotteries Acts prohibit the promotion, advertising and the provision of unlawful gaming products so it is important that operators are familiar with these provisions. The Irish Revenue Commissioners actively monitor compliance by remote operators with the licensing regime that applies for remote bookmakers and remote betting intermediaries. We are aware that the Irish Revenue Commissioners have actively pursued operators who have not registered as remote bookmakers and remote betting intermediaries. In addition, we are also aware that the Irish Revenue Commissioners actively follow up with operators if they are not registered and paying remote betting tax, remote intermediary duty and VAT on e-gaming activities, and have wide-ranging powers in order to ensure compliance. Under the Betting Acts, the Irish Revenue Commissioners have the power to issue compliance notices to third parties who provide facilities or services (e.g., advertising, internet service provider (ISP), telecommunications, payment services) to unlicensed remote betting and betting intermediary operators requesting them to cease supplying such services to unlicensed operators. Failure to comply with a compliance notice is an offence and can lead to a fine of up to €50,000. In addition, various civil and criminal sanctions may also apply. d the Totalisator Act 1929, which governs the Totalisator. These legislative regimes are currently under review by the Irish legislature and significant reform is expected in 2017 and 2018 (see Section VIII, infra). There is no Irish equivalent to the UK Gambling Commission, although it is proposed under the Scheme that almost all forms of betting, gaming and lotteries would be brought under a single legislative and regulatory umbrella, the Office of Gambling Control Ireland (OGCI), which it is proposed will be funded from licensing fees. The bookmaker, remote bookmaker and remote betting intermediary licences are granted by the Irish Revenue Commissioners, who administer the licensing process and maintain public registers of those who have been granted a licence. As part of the process of obtaining a licence, the applicant (or the relevant officers of the applicant where the applicant is a company) must first obtain certificates of personal fitness. The Department of Justice and Equality is charged with awarding certificates of personal fitness to overseas applicants. Applicants who are based in Ireland may apply for a certificate of personal fitness from a superintendent of the Irish police. The Irish National Lottery is regulated by the Regulator of the National Lottery, whose primary functions are to ensure that the Irish National Lottery is run with all due propriety, to ensure that participants’ interests are protected and to ensure that the long-term sustainability of the Irish National Lottery is safeguarded. Small lotteries (which must be carried out for a charitable purpose) may be carried out under a permit granted by a superintendent of the Irish police or a licence granted by a district court. The licensing of amusement halls and funfairs may be determined by a local authority or local district court. Certain very limited (and low-stakes) gaming may take place in these venues with the appropriate licence. The Irish Revenue Commissioners also licenses low-stakes gaming machines. The Totalisator is governed by the Totalisator Act 1929, which provides that the Minister for Finance awards the relevant licence to operate the tote. The Betting (Amendment) Act 2015 (the 2015 Act) brought remote bookmakers (e.g., internet and mobile betting providers) and remote betting intermediaries (e.g., betting exchanges) within the scope of the existing licensing regime that applied to bricks-and-mortar betting shops in Ireland. 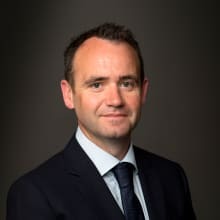 The 2015 Act extended the existing 1 per cent turnover on a bookmaker’s activities to online and mobile operators and introduced a 15 per cent commission tax on betting exchanges. ‘Commission charges’ are defined in the Finance Act 2002 (as amended) as ‘the amounts that parties in the State to bets made using the facilities of a remote betting intermediary are charged, whether by deduction from winnings or otherwise, for using those facilities’. Under the 2015 Act, a traditional land-based bookmaker’s licence permits a limited amount of remote betting without the need to obtain an additional remote bookmaker’s licence. The value of remote betting on a standard bookmaker’s licence may not exceed the lower of €200,000 or 10 per cent of that bookmaker’s yearly turnover. The Gaming and Lotteries Acts apply to all forms of gaming, but have not been updated since the introduction of remote gaming. See Section VIII, infra, for details of the reform that is anticipated in this area. While the Betting Acts envisage the business of bookmaking being carried out in registered bookmaker’s premises,10 the Gaming and Lotteries Acts provide for a number of different locations in which forms of gaming can take place (e.g., amusement halls,11 carnivals,12 and circuses13). Depending on the type of gambling to be performed, there are a range of restrictions. There is no formal limit on the number of gambling premises of a particular type that can be granted. Casinos are illegal in Ireland if they promote or provide facilities for any kind of gaming that is deemed ‘unlawful gaming’ for the purposes of the Gaming and Lotteries Acts. This includes gaming in which, by reason of the nature of the game, the chances of all the players, including the banker, are not equal, or gaming in which any portion of the stakes is retained by the promoter or is retained by the banker other than as winnings on the result of the play. Private arrangements are excluded from the scope of the Gaming and Lotteries Acts. This has given rise to the operation of private members’ clubs as casinos and card clubs, which it may be argued fall outside the prohibitions on gaming contained in the Gaming and Lotteries Acts. Aside from the requirement to become a member, a process that is not standardised, the opening hours, age restrictions and general operation of such clubs are not regulated. The Totalisator Act 1929 provides for the establishment and regulation of the Totalisator14 by the Irish Revenue Commissioners. The Irish Horse Racing Industry Act 1994 provided that the Irish Horse Racing Authority could apply for and hold a totalisator licence. This was later transferred to Horse Racing Ireland by the Horse and Greyhound Racing Act 2001 and the licence is currently held by Tote Ireland. As stated in Section I, supra, Tote Ireland’s current licence is due to expire in 2021. Bord na gCon is licensed to operate a totalisator at greyhound tracks. Remote betting and the provision of remote betting intermediary services are generally permitted in Ireland, meaning that an operator that is licensed by the Irish Revenue Commissioners in Ireland may provide betting services to Irish citizens in Ireland by remote means15 using equipment which may be located in Ireland or abroad. As stated in Section I.v, supra, online gaming products such as casino, slots and bingo are governed by the Gaming and Lotteries Acts, although that legislative regime has not been updated to take account of online internet gaming. The focus of the Gaming and Lotteries Acts is on gaming carried out in amusement halls, arcades, funfairs, carnivals, travelling circuses and slot machines, and therefore it is unclear how it is to be applied to the type of games offered online. It is common, however, for operators who are licensed in other jurisdictions to offer online products to Irish customers. It is important in such circumstances that the contract between the operator and the Irish customer is not governed by Irish law. Operators should also be aware that the Gaming and Lotteries Acts prohibit the promotion, advertising and the provision of unlawful gaming products so it is important that operators are familiar with these provisions. Suppliers of key equipment (e.g., manufacturers of gambling equipment or software suppliers) are not currently required to obtain licences in order to supply to operators. This is set to change when the Scheme is enacted (see Section VIII, infra). c a remote betting intermediary’s licence. Application forms must be completed online using the Revenue Online Service (ROS). Not all ROS services are available automatically so it may be necessary to first register for ROS with the Irish Revenue Commissioners. As a practical point for operators, this process of registering for ROS can take a number of weeks. For retail bookmakers, if the bookmaking business is only being conducted on-course, the holder of the licence must apply for a separate authorisation to accept bets on-course. If the bookmaking is being conducted from a premises, a certificate of registration of premises is required. There is no licensing regime contained in the Gaming and Lotteries Acts. The Fourth Anti-Money Laundering Directive (AMLD4) is due to be implemented in Ireland in 2017 with the aim of further strengthening the EU’s defences against money laundering and terrorist financing, and ensuring the soundness, integrity and stability, and confidence in the financial system as a whole. Draft national legislation has not yet been published. AMLD4 requires providers of gambling services, upon the collection of winnings, the wagering of a stake, or both, when carrying out transactions amounting to €2,000 or more (whether the transaction is carried out in a single operation or in several operations that appear to be linked), to apply customer due diligence measures. It provides that, with the exception of casinos, Member States may decide to exempt certain gambling services from some or all of the requirements laid down in AMLD4 in proven, low-risk circumstances. Recital 21 states that the use of such an exemption should be considered only in strictly limited and justified circumstances and where the risks of money laundering or terrorist financing are low. The Department of Finance is currently carrying on a review of the risk profile of the betting and gaming industry, which will determine the criteria and whether an exemption will be introduced. Bookmakers in Ireland are subject to betting duty at 1 per cent of turnover. Remote bookmakers must also pay this duty on bets entered into with persons resident in Ireland. Remote betting intermediaries are subject to a betting intermediary duty that is currently 15 per cent of their commission charges. ‘Commission charges’ are defined in the Finance Act 2002 (as amended) as ‘the amount that parties in the State to bets made using the facilities of a remote betting intermediary are charged, whether by deduction from winnings or otherwise, for using those facilities’. Unlike most other European jurisdictions, gaming services are not specifically exempted from VAT in Ireland. As a result, online providers who are licensed overseas but who are providing e-gaming services to Irish customers should be registered and charging Irish VAT at 23 per cent on play from Irish customers. Generally speaking, the amount on which VAT is charged is the consideration actually received by the operator from Irish customers. For non-pooled gaming (e.g., slots, casino), this will typically be the net revenue (i.e., after free bets/plays) that the operator receives. For pooled gaming (e.g., poker), the consideration that will be subject to VAT is the rate that the e-gaming operator receives, which is applicable to Irish customers. Casinos that operate in Ireland as private members’ clubs must all register and charge VAT on customers’ winnings. any attraction (other than the mere carrying on of his business of bookmaking) which causes or encourages or is likely to cause or encourage persons to congregate in or outside such premises. proclaim[ing] or announc[ing] or permitt[ing] any other person to proclaim or announce in such premises to the persons there present the terms or odds on or at which he is willing to take bets in relation to any particular race, match, or other contest, or in respect of any competitor in any such contest. any lists or statements of the terms or odds on or at which he is willing to take bets in relation to any particular race, match, or other contest, or in respect of any competitor in any such contest, or lists or statements of the competitors entered for or withdrawn from or taking or likely to take part in any such contest, or statements of facts, news, or forecasts in respect of any such contest, or any other incitement or inducement to bet. The Broadcasting Commission of Ireland is an independent statutory organisation responsible for some of the key aspects of television and radio services in Ireland. Its General Commercial Communications Code (the Code) addresses standards with regard to all forms of commercial communication, including advertising, sponsorship and teleshopping. Section 8.8 of the Code covers gambling and provides that commercial communications that seek to promote services to those who want to bet are acceptable. Section 8.8 of the Code also provides that such communications may contain the address of the service provider and factual descriptions of the services available but may not contain anything that could be deemed to be an ‘encouragement to bet’. Information detailing special offers, discounts, inducements to visit any betting establishment (including online), references to betting odds available or any promotional offer intended to encourage the use of services of this nature are not permitted. A revised version of the Code that governs commercial communications such as advertising, sponsorship and product placement on Irish licensed television and radio stations, which will take effect from 1 June 2017, includes enhanced provisions, such as prohibitions on advertising of remote bookmaking operations without a remote bookmaker’s licence, and certain portrayals of gambling (e.g., children gambling or that gambling can be a solution to personal or professional problems, or financial concerns). In addition, recent decisions of the Advertising Standards Authority of Ireland (ASAI) provide useful guidance for the betting and gaming industry as to where the lines between permitted and non-permitted advertising of promotions are drawn. In particular, care should be taken if using phrases such as ‘risk-free bet’ or ‘money-back special’. In addition, advertised headline offers must be consistent with any restrictions or clarifications in the applicable terms and conditions. In 2016, the ASAI considered an email sent by a bookmaker advertising a risk-free bet42 for customers who downloaded a new app. A recipient of the email complained to the ASAI that he did not think the offer was risk-free. It required punters to place a bet for £5; if they lost this bet they could then receive another free £5 bet. The complainant argued that the label ‘risk-free bet’ implied that his initial £5 would be returned if he was unsuccessful. In its response to the ASAI denying the complaint, the advertiser claimed that risk-free bet was a term frequently used in the sector and commonly understood to have the meaning given to it (i.e., that a punter who lost would receive another bet, rather than be refunded their stake). The advertiser highlighted that the offer was described in three steps in the body of the email and the details were not hidden in the terms and conditions. It also stated that as the customer had chosen to receive its marketing emails, he would be familiar with the language used in the gaming industry. Upholding the complaint, the ASAI determined that ‘risk-free’ could be understood by some consumers to mean that if they lost their initial bet, their stake would be refunded to them. While the ASAI acknowledged that the body of the email explained the terms of the offer clearly, it still found the advertisement to be in breach of three sections of the ASAI Code relating to honesty, misleading advertising and misleading promotions. In other recent decisions involving the gambling sector, the ASAI has emphasised the need for headlines or text in promotional offers to be consistent with the terms and conditions. For example, in a decision delivered in January 2016,43 the ASAI held that an advertisement that contained headline text that was subject to an important clarification contained in a footnote was not compliant as there was no asterisk in the headline to draw attention to the footnote. In a previous decision given in 201544 advertisers were reminded that that it was not compliant to make a headline offer if it was subsequently meaningfully restricted by the terms and conditions. The ASAI is a self-regulatory body set up by the advertising industry in Ireland to promote standards in commercial advertising in compliance with a Code of Standards for Advertising. While the ASAI Code does not have a legislative basis, commercial marketing communications found to be in contravention of the Code by the ASAI Complaints Committee must be amended or withdrawn by organisations who agree to abide by the Code. In addition, decisions of the ASAI may be taken into account when applicable advertising or consumer protection legislation is being considered. For example, an advertisement that breaches the ASAI Code could, in certain circumstances, also be deemed to constitute a ‘misleading commercial practice’ for the purpose of the Consumer Protection Act 2007 and give rise to civil and criminal liability. Unlike in the United Kingdom, gambling debts in Ireland are unenforceable.45 This position was challenged in a recent Circuit Court case involving an action brought by a gambler against a small amusement centre. He claimed that it had refused to pay him €11,713 he had won after he placed several bets on an automated roulette machine. The plaintiff alleged that on 2 and 3 March 2015, he first won about €7,500. When he sought to cash it out, he was given €2,500 in cash and €5,000 worth of chips, before being told to play more and that he would be paid at the end of the night. The court heard that after he won a further €6,713, the plaintiff was told by a manager to cash out. When he went to the cashier counter, he was told the casino had no more cash for the night but that he would be paid the following day. He had also been told that an engineer would later check the roulette machine. The plaintiff claimed the amusement centre refused to pay him despite multiple requests. The heads of the Scheme were published on 15 July 2013.48 The intent of the Scheme was that it would, if enacted, provide a comprehensive overhaul of Ireland’s outdated gambling laws and would result in most forms of gambling being regulated by a single piece of legislation. Since the initial publication of the Scheme in 2013, limited progress has been made. However, a number of recent high-profile cases involving prominent sportspeople and gambling addiction, coupled with increased public concern about children under 18 engaged in gambling activities, has led to an increased political desire to implement legislation to give effect to the Scheme. If legislation is enacted to give effect to the proposals outlined in the Scheme, it will result in a fundamental change in gambling law and regulation in Ireland. The Bill is currently being considered and drafted by the Office of the Parliamentary Counsel and the current government is keen to proceed with the Bill ‘…at the earliest feasible opportunity’.49 In Irish parliamentary debates in December 2016, the Minister of State for Justice David Stanton hinted that the Bill would be published ‘later in 2017’. Outlined below are a number of the headline changes proposed by the Scheme. The Scheme provides for the creation of the OGCI (see Section II.ii, supra). The OGCI will control all gambling in Ireland and will have responsibility for issuing licences and ensuring compliance with the Bill. The OGCI will be established as a unit of the Department of Justice and Equality and will be funded from licensing fees (amounts to be determined by OGCI). The Scheme seeks to regulate everything from retail and online betting and gaming, to gaming on cruise ships and in catering outlets. Although the Scheme outlines six broad categories of licence (betting, gaming, remote gaming and betting, temporary, hybrid and personal licences), there are a total of 43 separate licences that operators could potentially require. In addition, there are a number of entities that, while not requiring a licence, may be required to register with the OGCI. Regulating for all forms of gambling in the one Bill potentially makes the legislation more complex and could lead to delays in finalising the Bill. Several submissions that were made to the Department of Justice and Equality in response to the publication of the Scheme have called for the streamlining of the proposed licensing system and there may be merit in the government seeking to deal with the main forms of gambling first (e.g., retail and online) and then separately bringing in legislation at a later date to deal with other areas. In what will be a welcome development for most land-based bookmakers, for the first time the Scheme would allow betting shops to have gaming content, provided that turnover from the gaming content does not exceed 15 per cent of total turnover. Clarification will be required as to the treatment of ‘virtual’ products as currently the definitions of ‘gaming’ and ‘betting’ both include virtual events. For the most part, betting on virtual events will be regarded as a fixed-odds bet by operators and therefore confirmation that this treatment will continue will be required to ensure that ‘virtual’ content in shops is not indirectly caught by the 15 per cent restriction on turnover that will apply to gaming content. The Scheme prohibits fixed-odds betting terminals (FOBTs) in all circumstances and sets out a number of offences for the supply, maintenance and repair of FOBTs. f operators will not be allowed to sponsor events or teams ‘…who predominantly appeal to people below the age of 18 years’. g a voluntary self-exclusion register will be established whereby a person with a gambling concern can have themselves excluded from specific gambling venues, or from accessing gambling products provided by particular providers. The OGCI would maintain a register of all persons who have entered into self-exclusion arrangements. The mechanics of how such a scheme will work will need to be worked through carefully as the enforcement of such a register by operators could create serious challenges for operators particularly in the retail environment. The Scheme legislates for casinos and casino games, thereby addressing the currently ambiguous position of ‘private members clubs’. However, the Scheme will not permit supercasinos in Ireland. The Scheme provides for a maximum limit of 40 casino licences that can be in operation at any one time in Ireland and limits the number of tables in casinos to a maximum of 15, and gaming machines to 25. Criteria will be established by the OGCI on the distribution of casinos geographically (nationally and regionally) to ensure reasonable access and choice for consumers. Planning permission will also be required for each premises and the location of casinos will be subject to public policy restrictions. Normal liquor licensing requirements and bar hours will apply. In addition the Scheme allows the OGCI to specify that certain games that are played on machines or by remote means can only be paid via a ‘player card’. The practicalities of how this will work are unclear from the Scheme. The Scheme does not affect the Irish National Lottery but does introduce several new categories of licences for lotteries that apply at least 25 per cent of their proceeds to charitable or philanthropic causes. In summary, the Scheme demonstrates Ireland’s intention to move towards a more robust and modern regulatory regime for all forms of gambling in Ireland. The Scheme requires significant additional work before the government is in a position to publish the Bill. However, there appears to be an increased political desire to implement legislation to give effect to the Scheme and the government is working to get the Bill published, and subsequently enacted, ‘at the earliest feasible opportunity’. 1 Alan Heuston is a partner and Seán Dowling is an associate at McCann FitzGerald. 3 Gaming and Lotteries Act 1956 Section 2. 6 Defined in the Totalisator Act 1929 as ‘an apparatus or organisation by means of which an unlimited number of persons can each stake money in respect of a future event on the terms that the amount to be won by the successful stakers is dependent on or to be calculated with reference to the total amount staked by means of the apparatus or organisation in relation to that event but not necessarily on the same contingency, and the said word includes all offices, tickets, recorders, and other things ancillary or incidental to the working of the apparatus or organisation’. 7 Department of Justice and Law Reform, Options for Regulating Gambling (December 2010) 3. 8 Betting Act 1931 Sections 1 and 7C. 9 Available from the website of the Irish Revenue Commissioners. 10 Defined in Section 1 Betting Act 1931 as ‘premises for the time being registered in the register of bookmaking offices kept by the Revenue Commissioners under this Act’. 11 Gaming and Lotteries Act 1956 Section 14. 12 Gaming and Lotteries Act 1956 Section 7. 13 Gaming and Lotteries Act 1956 Section 6. 14 Defined in the Totalisator Act 1929 as ‘an apparatus or organisation by means of which an unlimited number of persons can each stake money in respect of a future event on the terms that the amount to be won by the successful stakers is dependent on or to be calculated with reference to the total amount staked by means of the apparatus or organisation in relation to that event but not necessarily on the same contingency, and the said word includes all offices, tickets, recorders, and other things ancillary or incidental to the working of the apparatus or organisation’. 15 Defined in Section 1, Betting (Amendment) Act 2015 as meaning ‘in relation to a communication, any electronic means, and includes (a) the internet, (b) telephone and (c) telegraphy (whether or not wireless telegraphy)’. 17 Revenue Commissioners, ‘Bookmaker’s Licence’, www.revenue.ie/en/tax/excise/excise-licensing/bookmakers-licences-betting.html. 18 The Department of Justice will generally require Certificates of Personal Fitness for at least two Relevant Officers with one of the those Relevant Officers having to come within Section 1(a) Betting (Amendment) Act 2015. 19 Department of Justice and Equality, ‘Gambling’ www.justice.ie/en/JELR/Pages/WP15000254. 21 Betting Act 1931 Sections 4(6), 5(5) and 5A(5). 22 McCann FitzGerald Briefing ‘Betting & Gaming Update. Licence renewal date fast approaching. Are you ready?’ (April 2017). 23 Revenue Commissioners, ‘Bookmaker’s Licence’ www.revenue.ie/en/tax/excise/excise-licensing/bookmakers-licences-betting.html. 29 Irish Revenue Commissioners, ‘Remote bookmaker’s Licence and Remote Betting Intermediary’s Licence’ www.revenue.ie/en/tax/excise/excise-licensing/remote-bookmakers-licences.html. 31 Betting Act 1931 Section 2(1). 32 Betting Act 1931 Section 2(6). 33 Betting Act 1931 Section 2(7). 34 Betting Act 1931 Section 2A(1). 35 Betting Act 1931 Section 2A(2). 36 Betting Act 1931 Section 2A(3). 37 Betting Act 1931 Section 32B(1). 38 Betting Act 1931 Section 32B(10). 39 Betting Act 1931 Section 23(1). 40 Betting Act 1931 Section 23(3). 41 Report of the Interdepartmental Group ‘Review of Gaming and Lotteries Acts 1956-86’ at p. 2. 42 ASAI Reference: 26230, www.asai.ie/complaint/leisure-betting-4. 43 ASAI Reference: 24857, www.asai.ie/complaint/leisure-betting-3. 44 ASAI Reference: 22538, www.asai.ie/complaint/leisure-betting-2. 45 Gaming and Lotteries Act 1956 Section 36. 46 Saurya Cherfi, ‘Casino not compelled to pay €11,000 roulette win under law’ Irish Times (20 March 2017) www.irishtimes.com/news/crime-and-law/courts/circuit-court/casino-not-compelled-to-pay-11-000-roulette-win-under-law-1.3017271. 47 Department of Justice And Equality, ‘Minister Shatter announces the preparation of a new Bill on Gambling’ (21 September 2011), www.justice.ie/en/JELR/Pages/PR11000178. 48 Department of Justice And Equality, Gambling Control Bill 2013 – General Scheme (July 2013), www.justice.ie/en/JELR/Pages/PB13000296. 49 Per written parliamentary response of the Minister of State for Justice David Stanton in response to written query from Fianna Fail TD Anne Rabbitte on 16 December 2016.